Discharge from any opening of the body can be cause for alarm, but it can especially be scary when it is seen coming from the ear. This pus discharge, referred to as otorrhea, may be thick or thin, clear or colored, and may have a terrible odor. There can be various health conditions responsible for such a symptom. We will uncover otorrhea causes and treatment options, both medically and at home. The otorrhea meaning in medical terms is basically any type of flow or discharge resulting from the ear. It is a vague explanation of a condition caused by trauma or a health condition affecting the inner or external ear. It is not a common sight but can be an indicator of a serious health condition. The presence of the discharge can lead to the underlying cause. Otorrhea causes have an association with both internal and external conditions of the ear ranging from minor to serious. The drainage itself can vary from a thin, watery substance to a thick, pus-like mucus and may have an unpleasant odor. The color of clear to yellow, green, or white can help determine the underlying cause. Any accompanying symptoms of fatigue, fever, pain, nausea, or vertigo can also help narrow down one of the following causes. 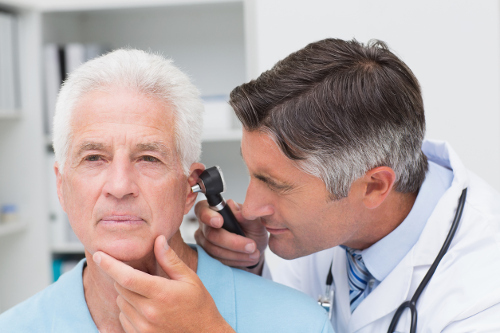 The most common cause for any type of ear discharge is an inner ear infection. An inflamed middle ear is referred to as otitis media and is the result of a bacteria or viral infection. It may produce a thick, white, milky substance that gathers before expelling from the ear. If the infection originates in the outer ear, it is known as swimmer’s ear, or otitis externa. This inflammation can be the result of extremely hot weather, exposure to water for prolonged times, or skin irritation. An ear infection may lead to a ruptured eardrum. Another cause of ear drainage is the result of inserting an object into the inner ear, as often seen with small children. Curiosity sometimes gets the best of some, and they may try to shove small objects such as toys into their ear canal. Inflammation and discharge may follow. Otorrhea can also be caused by a form of injury to the ear, whether it is directly to the surface of the ear or indirectly affected. It usually happens with brain injuries as cerebral fluid can seep from the ear. A blunt force to the ear can also present drainage, as can any inner tissue injury. Other causes of otorrhea can include head colds, dermatitis of the inner ear canal, and tearing of the eardrum. There are two main types of otorrhea—CSF and purulent. CSF otorrhea refers to cerebrospinal otorrhea as it occurs with brain injuries, skull fractures, brain tumors, or brain infections. The cerebrospinal fluid may be seen secreting from the ear, as seen with some cases of meningitis or after ear surgery. Purulent otorrhea stems from issues with the middle ear or ear canal and presents as a cloud-like substance. It has a link to both acute and chronic infections. The cause behind the otorrhea is key to determine proper treatment, as is the severity of possible infection or injury, as well as the length of time the drainage has been occurring. More serious cases will require medical attention, as with meningitis and head and brain injuries. For more mild cases, there are natural home treatments that may help alleviate the drainage. Any discharge that is present in ear needs to be completely removed, and the best natural way to do this is to use the force of gravity. Ensure your ear is parallel to the floor and create a vacuum effect with one finger in the ear while using a cotton stick or cloth to clean it. You can also lay on the floor with your ear on a towel to allow the fluid to drain out. Applying heat to the ear can help alleviate pain while promoting the fluid to move. Using a cloth soaked in hot water, place it on your ear for five minutes, and hold your head with your ear parallel to the floor. Repeat as needed. You can also use a heating pad on the ear. Be sure to wrap the pad in a towel to avoid burning the ear. You may be familiar with using steam to release congestion, and the same can be done for fluid from the ear. Using the same technique, cover head with a towel over a bowl of steaming hot water for 10 minutes. Turn your head to the side position with your ear parallel to the floor to promote drainage of the ear. You can add a few drops of eucalyptus essential oil to the hot water for quicker results. Repeat until all the fluid is drained. Take advantage of the powerful antibacterial property of white vinegar combined with the drying effect of rubbing alcohol to release fluid from your ear. Use a dropper filled with equal amounts of the substances to place a few drops into the ear. Position your ear parallel to the floor for easy removal. Repeat twice each day. If the drainage is due to a middle ear infection, garlic may help with its antibiotic properties. Use the juice from two or three squeezed cloves of garlic, and apply it directly in the ear with an eye dropper. Use the heat of a hair dryer to dry the ear after five minutes. Repeat twice each day. Otorrhea is a symptom of a form of drainage secreting from the ear. It can be a terrifying sight to see but may be quickly treated, depending on the underlying cause. Treatment will be based on the consistency, color, and duration of the drainage. Some cases of otorrhea may be able to be resolved with home remedies, while more serious cases will require medical attention to prevent permanent damage. Surekha, “Otorrhea-Causes, Symptoms, Types, Treatment,” Diseases Pictures, January 11, 2013; http://diseasespictures.com/otorrhea/, last accessed May 10, 2017. Dr. Mary, “Otorrhea-Symptoms, Causes, And Treatment,” Bye Bye Doctor; http://byebyedoctor.com/otorrhea/, last accessed May 10, 2017. “Home Remedies For Ear Discharge,” Authority Remedies; https://authorityremedies.com/home-remedies-for-ear-discharge/, last accessed May 11, 2017.